Doctor Who: Ten Best Moments From HELL BENT | Warped Factor - Words in the Key of Geek. Nicholas Brent counts down the top 10 moments from the Doctor Who series nine finale. The Good, The Bad and The Ugly… when Moffat described this episode as a bit of a Western he wasn’t lying… this episode really was a mixture of good, bad and ugliness. But I’m not here to scrutinise! I’m here to pick out 10 of the best bits from the divisive Series 9 finale. If we ignore the terrible ego comments and the fact we have now lost the great Ken Bones, this was cool. 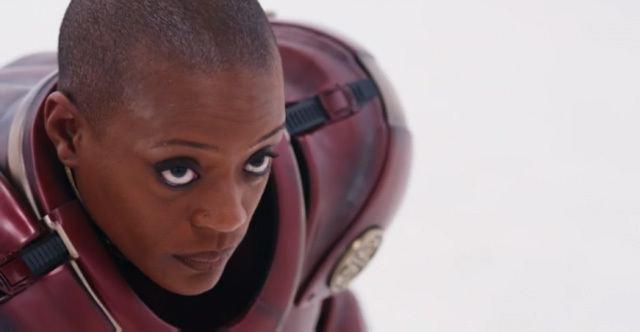 Perhaps now that we have finally seen a male-female regeneration on screen, it might just show those who insist a female Doctor is impossible, that it is definitely possible for it to happen. I’m not quite sure I like the idea that the Doctor basically killed the General. It’s always good to see the inhabitants of Gallifrey… just makes me happy inside. This piece was very Breaking Bad-esque. This whole sequence was great - the fact Capaldi didn’t even speak for 10 minutes yet you knew exactly how he was feeling is testament to Peter’s ability as an actor. I absolutely loved his anger and frustration towards Rassilon and his authority over Gallifrey. 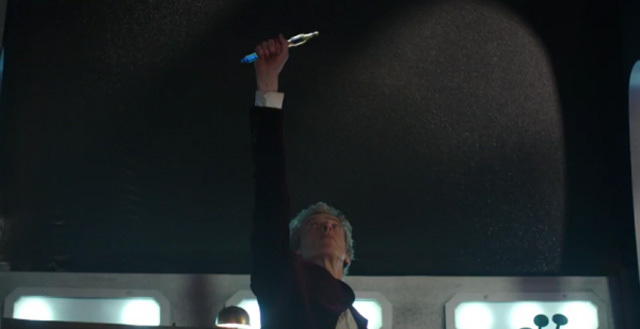 It really is about time Capaldi got his own sonic screwdriver - the glasses were a nice novelty but you can’t beat the good old screwdriver. The way it flew out of the console was a bit cheesy but it was an awesome scene. Can we please have this console room for ever? It is actually perfect for Capaldi and despite the design being over 50 years old, it looks perfect in the modern era. Would be a shame to waste a good set, eh? I’m loving the use of the proper sound effects too! 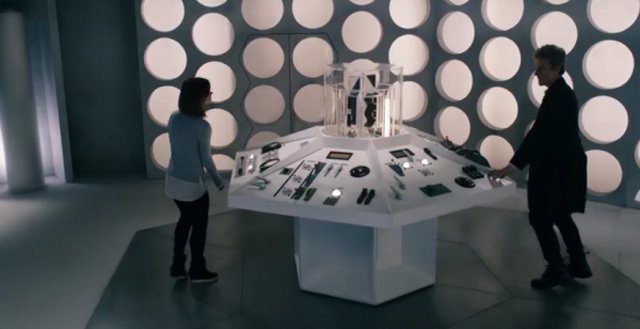 I’ve never cared much for Clara but this scene was just… argh. Brilliant! It wasn’t the route I wanted the episode to go, but that's what happened and I can appreciate it for what is is. It is quite fitting for Clara to go off in a TARDIS of her own before her death. Even in death she can’t stop being the Doctor. I’m glad that Moffat didn’t pull another Donna Noble or Jamie and Zoe and have Clara forget the Doctor, and I thought it was a neat idea that it was flipped around. I hope that the Doctor realised that ‘the waitress’ was Clara when the diner disappeared and when he saw the mural on his TARDIS for some closure and to help him move on. Talking of closure, the ‘run you clever boy” line rounded off Clara’s story perfectly. It was nice to end a series on a bit of a high note once again - the scene with the Doctor in the TARDIS, wearing his lovely red velvet jacket, wielding a sonic screwdriver and snapping his fingers to close the TARDIS doors was (to quote the Ninth Doctor) fantastic! Definitely felt like an end of an era but the start of something new! I’m still not totally sure where I stand with this finale… It just wasn’t what I was expecting… I don’t think anything has come close to the Series 5 finale, and perhaps the amazing prologue that was Heaven Sent was always going to tower above this episode, no matter how good it could have been. I think Hell Bent should have taken a completely different direction with so much more focus on Gallifrey and the Hybrid (I’m still not sure what happened with that) and less on Clara. In my opinion, Waitress Clara should have been a splinter and nothing more. But hey, lets accept the way the episode played out and enjoy it for what it was. As a finale it wrapped most things up pretty neatly and wiped the slate clean for a whole new series of adventures! Thank you for joining me for the past 12 weeks for these best bits articles. Now I must dash, I’ve got a whole load of Christmas shopping to get done and a Doctor Who Christmas Special marathon to get though before the amazing River Song returns for this year’s festive special - I can't express how excited I am! See you then!